Percussion and organ, a somewhat surprising combination with a surprisingly pleasing sound, now has its own duo of performers. 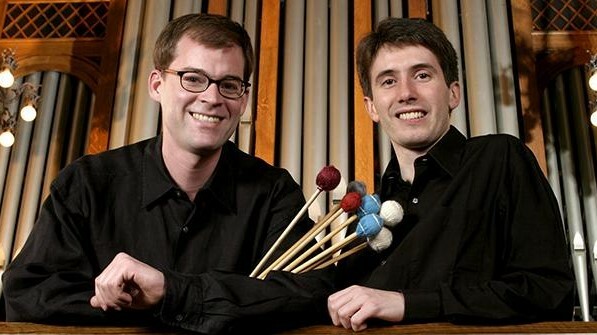 Clive Driskill-Smith, the young English organist sensation, has teamed up with the young American percussion virtuoso Joseph Gramley. Clive Driskill-Smith is one of the leading organists of his generation. Hailed as a “star of a new generation” (Evening Standard), critics have praised his “blazing technique” and “unbelievable virtuosity” (American Guild of Organists) and described his performances as “intensely moving” and “truly breathtaking” (Organo Pleno Melbourne).